Indulge yourself in the amenities of The Dental Boutique to make your visit a truly pleasurable experience. IMMERSE YOURSELF IN TOTAL COMFORT. Immerse yourself in the amenities of The Dental Boutique to make your visit a truly pleasurable experience. Kick back and unwind in our ultra-chic lounge with furniture by designers like Carl Hansen, Moooi, and Paul Smith. Experience the current art, while enjoying an espresso or other beverage from the variety of choices at the refreshment center. Sit at the iPad bar to browse the internet or to read virtual publications while taking in the aroma of specialty candles by Malin + Goetz, whose products are featured throughout The Dental Boutique--soaps, lotions, and lip balms. No matter what amenities you indulge in, the experience is truly yours. While we provide the option of digitally registering in advance of your treatment reservation, upon check-in our receptionist will walk you through all the information you need--confirming insurance, contact information, medical history, as well as personal comforts, such as music, refreshments, etc. Our Refreshment Center is stocked with multiple types of beverages to make your experience more relaxing and enjoyable. 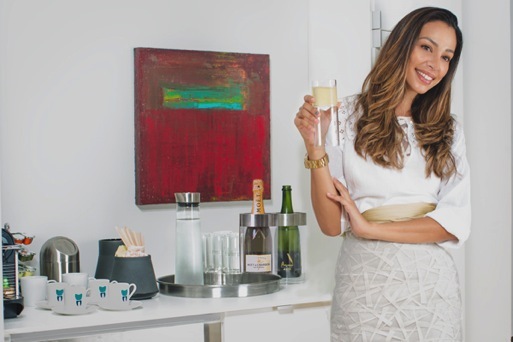 Sip on sparkling water, gourmet coffees or espressos, or wine and champagne. Stay connected at our iPad Bar. While waiting and enjoying a beverage from the Refreshment Center, catch up on email, news and/or entertainment with one of our iPads. Rushing from the office and didn't have time to brush after that everything bagel? No problem. We have a beautiful, private Brush Bar where you can take a moment to freshen up while enjoying a variety of Malin + Goetz products -- soaps, lotions and lip balms. Treatment Rooms are designed for your comfort. Each room is private and outfitted with sound systems designed to allow you to play your own music from the comfort of the industry's most relaxing chairs with an open, calming ambience and no restrictive equipment or hoses above or surrounding the treatment seat. 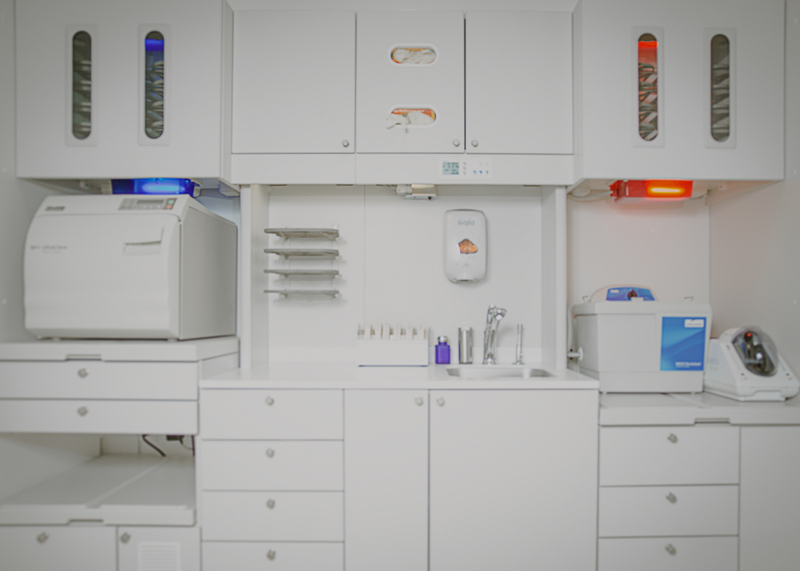 The Dental Boutique uses a built-in sterilization center that ensures proper handling of instruments through multiple stages of the pre-cleaning and ending with complete sterilization through an autoclave to ensure instrument quality and, more importantly, your safety and health. Once seated in a treatment room, choose your own music to put yourself at ease during procedures, relax with nitrous oxide, should your anxiety still be heightened, and don’t hesitate to ask for any amenity, or anything at all, that might make your visit even more pleasant. You will leave not even realizing you have had a trip to the dentist! We invite you to schedule a free consultation. Scheduling an appointment has never been easier. Reservations can be easily made via ZocDoc, using the button below. Also, our Concierge Service offers attentive care that is tailored to each patient. For more schedule availability, simply submit your inquiry with the button below, and one of our team members will contact you to schedule your consultation. You can expect to find an available treatment reservation within one week of contacting us.